Where would you go to see Northern Lights? I've seen the northern lights many times. You can see them around Winnipeg, but they're usually just green there. You can see them around Red Deer, in fact we had a fantastic autumn overnight tour that was highlighted by northern lights and the howls of coyotes. And you can see them up around Grande Prairie where I lived for many years. In both Red Deer and Grande Prairie, they appeared in red, green, and white. But apparently there are even more colours further north. 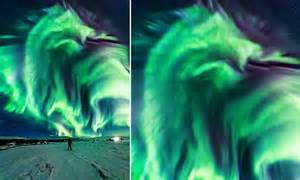 Personally, I want to see the "southern lights". The glorious southern skies at night aren' t enough for you? I only saw the southern lights (aurora australis) once in ten years, and they were a distant, flickering green showing over the gentle hills behind our property. Those in the know (my well-travelled neighbours) told me the northern lights were better, but I was impressed enough. When this thread started I do not know if they had good websites predicting where they would occur. Here are a few links. Their strength varies over time so the forecast changes to the conditions. I have seen them in northern Manitoba, Boundary Waters Canoe Area (Minnesota/Canada border) and rarely from southern Minnesota. Once from southern Wisconsin, but that was quite rare. Winter in Iceland is a spot that some people go to see them. You often can't see them from cities because the northern lights are not bright enough to overcome the light pollution, even the light from the moon can make them hard to see. I don't see a trip where the main goal is to see the Northern Lights as a stellar cycletouring expedition. As others have pointed out, chances to see improve as one travels north. Traveling progressively north in the northern hemisphere's summer means less nighttime, a twilight sky that never gets full dark and finally the midnight sun. Washout. Hmph. Traveling north in the winter yields long, dark nights...and abominable conditions for cycletouring. Where would I go to see Northern Lights? Churchill, Manitoba. It wouldn't be a bike trip, but I might take my Dahon Curl up on the train and pose some pictures. I love how these zombie threads are dredged up by a first time poster advertising their services. Last edited by fietsbob; 02-20-19 at 02:36 PM. A zombie thread to advertize and nobody at any point suggested Principal Skinner's Kitchen? For shame! We saw the Northern Lights in Nova Scotia in September. NS is also a great and interesting place to cycle. We got there via ferry out of Maine; I don't recall which town back then, though currently, Portland has such service, and you can get to Portland.via the Downeaster Amtrak train out of Boston. I'm not sure of their bike policy, but they might take bikes, even perhaps fully assembled. Old thread ... 11 years! Re-opened 2/9/19, followed by 11 post including mine . .
Last edited by Jim from Boston; 02-11-19 at 04:50 AM. Good catch. You're right. It's not the first time it's happened. Zombie thread or not, it’s still a cool topic, eh?  I saw them up in Alaska, or more accurately, Unalaska, several years ago, while commercial fishing. That was in March, I believe, still pretty chilly. Yeah, I know. And for 'ecotouring' of all things, and they even offer a 'carbon offset' option. Don't get me started. I do appreciate the bump, though, and the new photos. Last summer I drove (yes, I drove. Call me a hypocrite, it's not lost on me) to Western New York and rode all the way around Lake Ontario; but I didn't see any Northern Lights while there. Later in the summer I drove (mooched a ride; the driver was going there anyway) to Michigan and rode about halfway around Lake Michigan; but even in the Upper Peninsula I didn't see any Northern Lights. Weather was good enough; there just wasn't anything to see. Bad luck. Ah, thanks for mentioning the colors. I'm afraid red and green are kinda lost on me, so even if I do get to see a good display of the Aurora , I'll be missing some of the magic. I guess that's a good 'sour grapes' way to talk myself out of making a crazy expediditon just to see them. Last edited by rhm; 02-13-19 at 07:14 AM. Yes the ferry to Nova Scotia from Portland does take bikes fully assembled. I'm not sure of their bike policy, but they might take bikes, even perhaps fully assembled.Re-opened 2/9/19, followed by 11 post including mine . . Thanks for the reply. Actually, my uncertainty was if the Amtrak Downeaster train from Boston to Portland takes bikes, especially fully-assembled (not boxed). 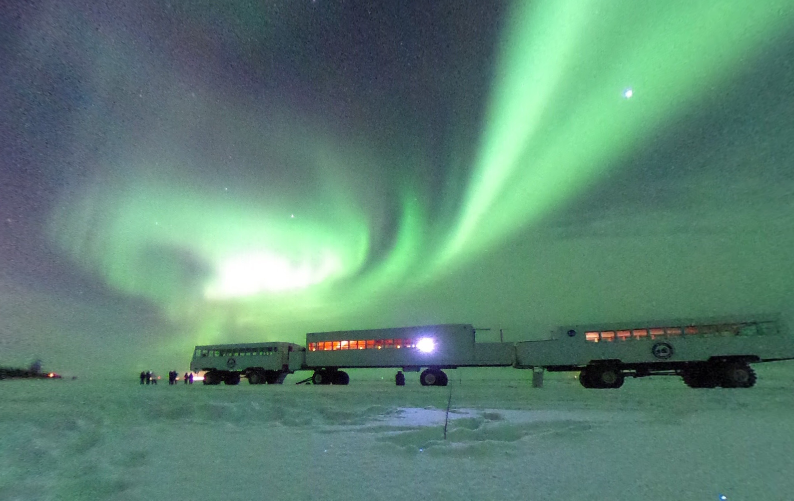 We drove to Alma QC in March a few years ago, visiting the Ice Hotel near Quebec on the way, to give you an idea of the temps, and had used the Aurora website mentioned above to plan our days. Spectacular display the first night, which we missed due to the overcast where we were but which could be seen from our alternate destination to the west. Next night was clear but the lights were barely visible. Fairbanks AK is supposed to have them visible frequently. The best I have seen were in Northern Saskatchewan in late August and in the Gulf Islands, B.C., in September. You don't neccesarily have to be that far north, but it has to be dark when you are likely to be up, which is not the times of year that people are likely to be cycle touring. Yes they do. I took a bike from Portland to Boston and back. Fully assembled. You need to specify it in your reservation to make sure they have a room for You. Was anybody here in Iceland just recently?